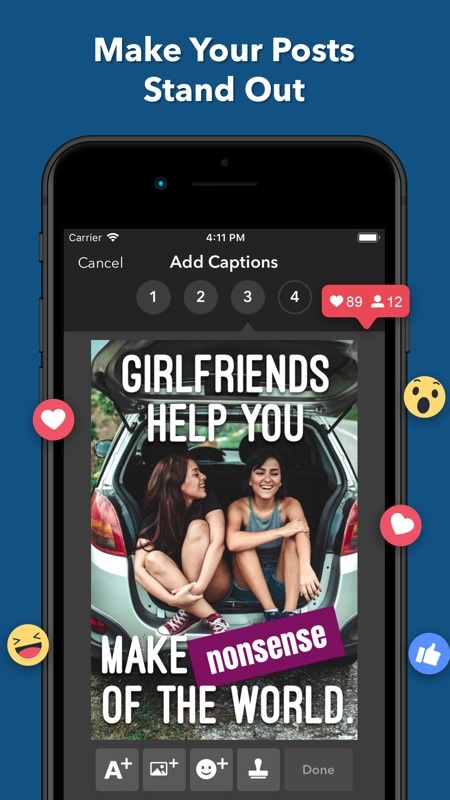 Add funny captions to popular imagesgifsto your own photosvideos. 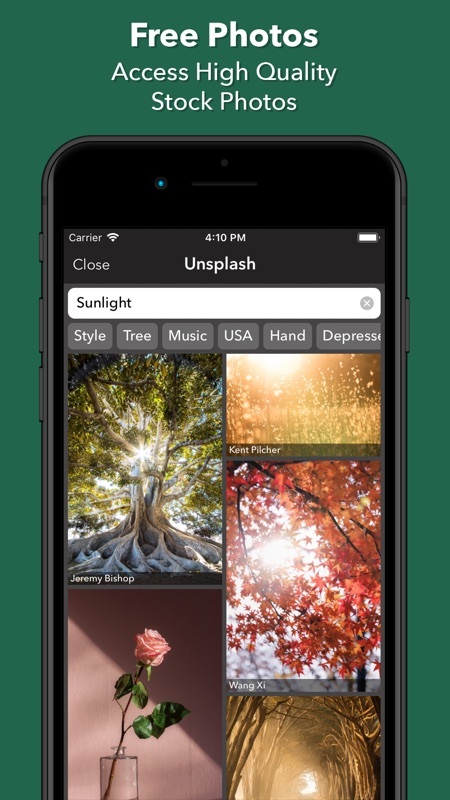 Find the perfect Gif with the new Tenor search*. 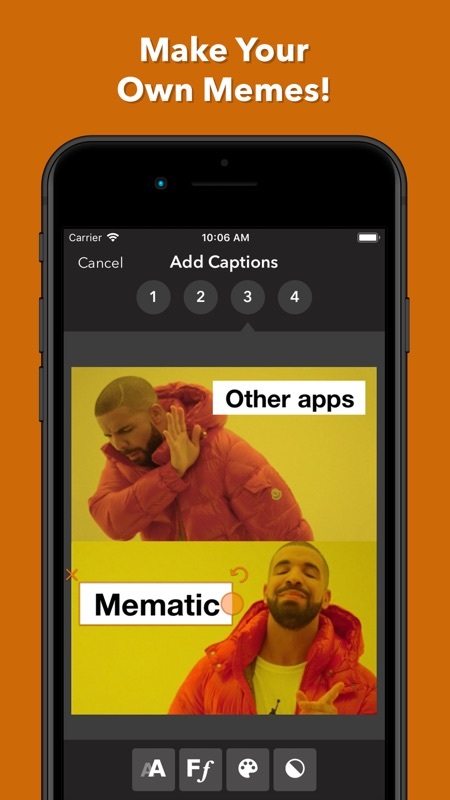 Create your own memes! 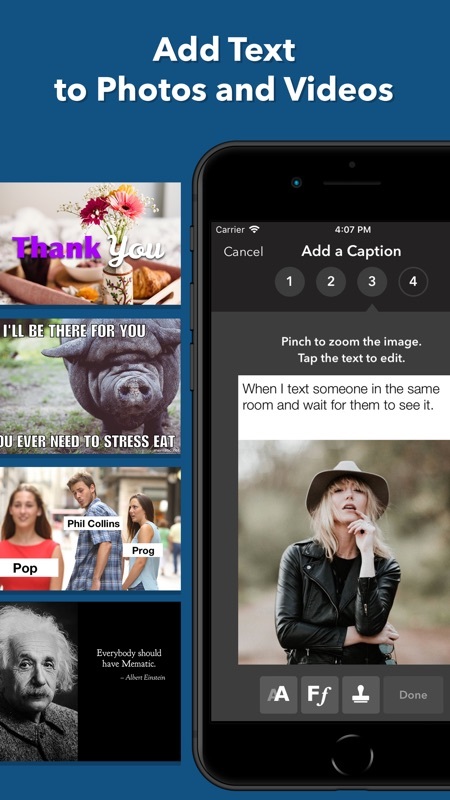 It's fasteasy: With a few taps you can add captions to any pictureshare them with your friends. Tell funny stories with the brand new "Fake News""Quote" meme styles,create witty Retro Ecards. 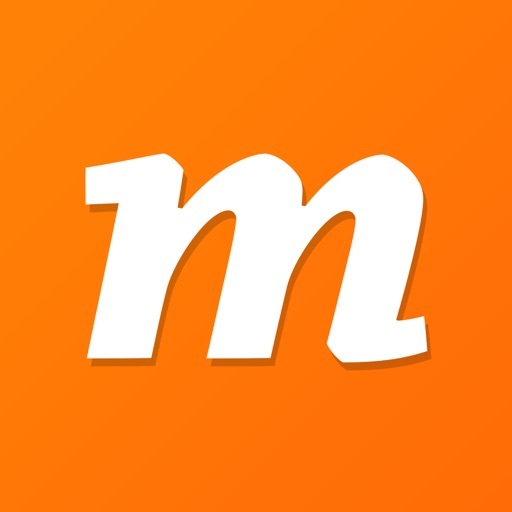 Share all your creations with your friends, directly from Mematic: Share on WhatsAppiMessage,upload to FacebookInstagram within seconds - it's super easy! * Tenor Gif search engine is available in select countriesregions.